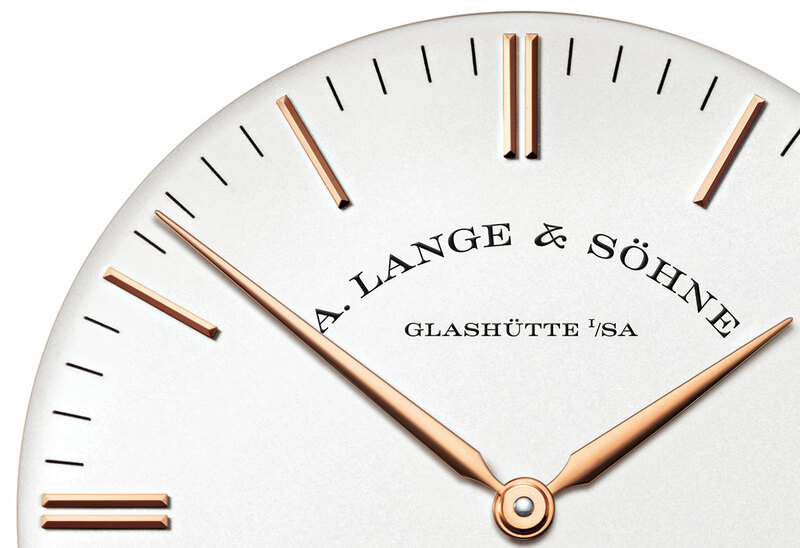 Lange will show the facelifted Saxonia collection at SIHH 2015, having tweaked the dials and cases of its entry-level collection of timepieces. The cases are slightly smaller, and the details a little more detailed. 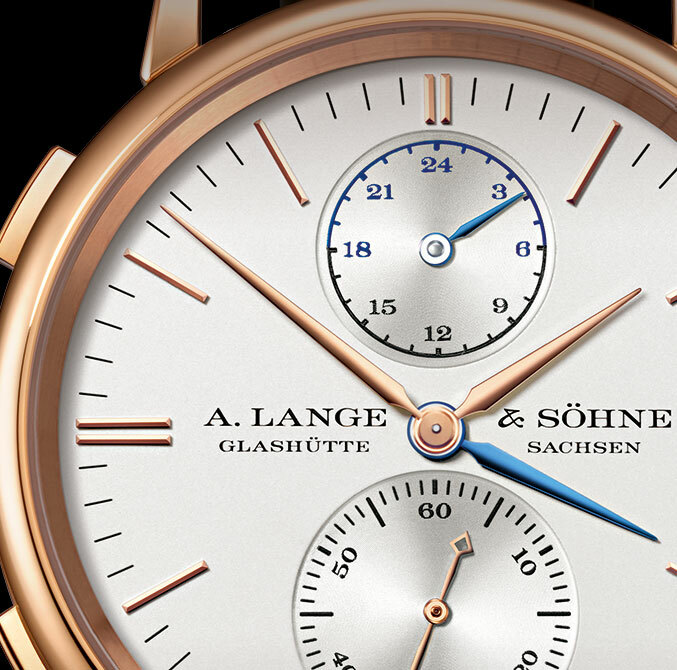 SIHH 2015 will see the launch of three new timepieces from A. Lange & Söhne‘s most affordable line-up: the Saxonia, Saxonia Automatik and Saxonia Dual Time. All are facelifted versions of existing models, visually similar and mechanically identical to the existing models but with minor improvements in the size and design. All three new Saxonia watches have new dials that retain the clean look of typical of Saxonia but with minor changes. 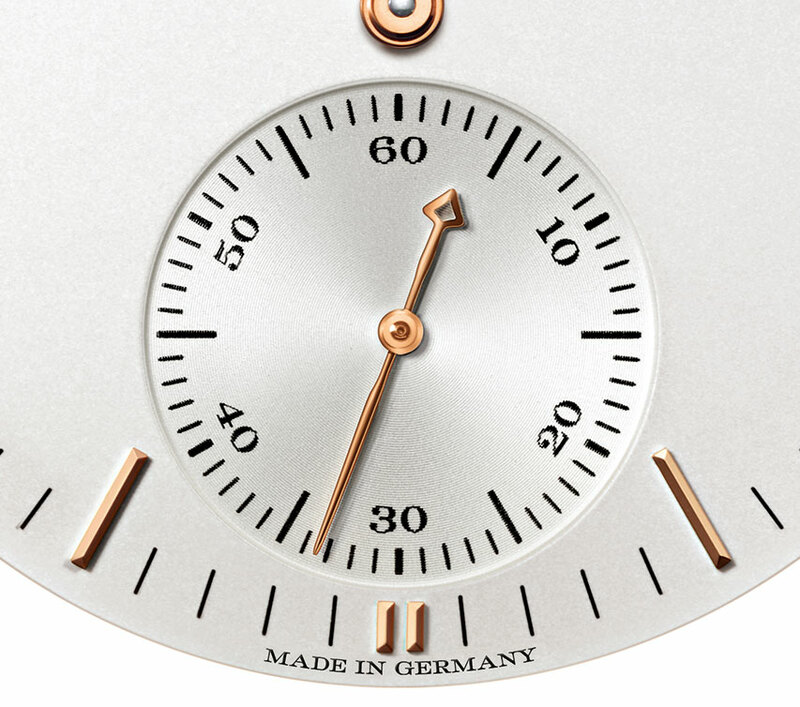 The applied hour markers are now at the edge of the dial, with double baton indices at each of the quarters. The minute markers around the dial are also more longer and more pronounced, while the subsidiary seconds has the tens in Arabic numerals. The new Saxonia watches also have the brushed, inward sloping flange around the dial that gives the watch more depth. 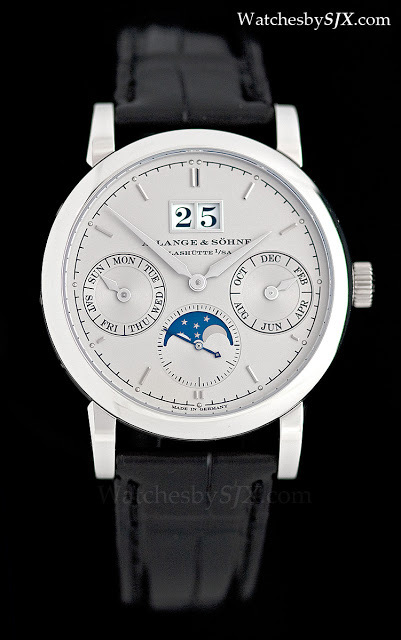 This feature was introduced several years ago but now found in many Lange timepieces. Also, the case sizes for two of them have been changed. The base model, hand-wind Saxonia now has a 35 mm case (it was 37 mm before), while the Saxonia Dual Time is now 38.5 mm in diameter (versus 40 mm previously). The new Saxonia models are available in rose or white gold, with prices before tax as follows: Saxonia Pink gold €13,900 White gold €14,900 Saxonia Automatic Pink gold €20,800 White gold €21,800 Saxonia Dual Time Pink gold €25,800 For comparison, this is the Saxonia Annual Calendar that sports the design of the previous generation Saxonia timepieces.